It is ideally situated for ease of access to many of the larger towns of Sussex and the south coast, with their more extensive shopping centres and entertainment facilities, being centrally located within the Eastbourne / Hastings / Tunbridge Wells triangle. It is also within easy reach of airports, Channel ferry terminals, the Channel Tunnel and London. 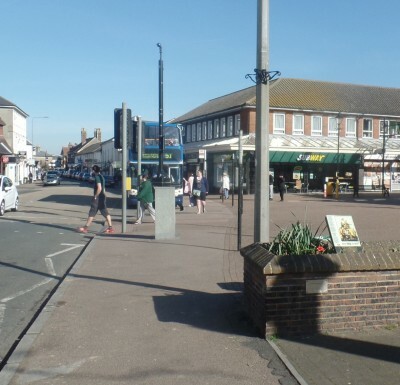 Whilst being largely rural in character, Hailsham can still boast a variety of local and national shops, several supermarkets, a cinema, and leisure centre with swimming pool. Most of the major banks and building societies have premises in the town centre, and facilities for most popular sporting activities (whether participating or spectating) are available. Hailsham also accommodates the home ground of a senior County league football club. Adequate educational needs are provided within the town, including evening classes for mature students. Leisure facilities exist for people of all ages and all interests, whether educational, academic, or just pleasure. Many of these have given birth to clubs and societies that cater for specific pursuits and the interests of members and participants. Senior citizens, as well as the young people of the town, will find groups specialising in their interests and needs. Two (membership only) social clubs thrive, having excellent bar and snooker facilities and regularly organised entertainment. A number of local amateur theatrical groups present productions of high standard. Visually, the town centre is a delightful mixture of the old and new, having two modern shopping precincts yet, within the High Street, Market Square and George Street, retaining some of the character of its past heritage with the fifteenth century Parish Church and many other buildings dating back to the sixteenth century. Glimpses of the town’s intriguing past are to be found in photographs and artefacts at the Heritage Centre, Blackman’s Yard, which is run by members of the Hailsham Historical Society. The Centre is open May to September (Fridays and Saturdays from 10.30am-12.30pm) and entry is free. The imprint of time goes deeply in this part of Sussex. Standing on rising ground, Hailsham overlooks the historic Pevensey Levels where the Romans built a stronghold upon what was then an island (Pevensey Castle). William the Conqueror was able to make an unopposed landing as the Saxons temporarily unmanned this same fortress on that fateful day in 1066, because the fleet and militia guarding the south coast against invasion had been disbanded a few weeks previously. Hailsham itself has a long but uneventful history. 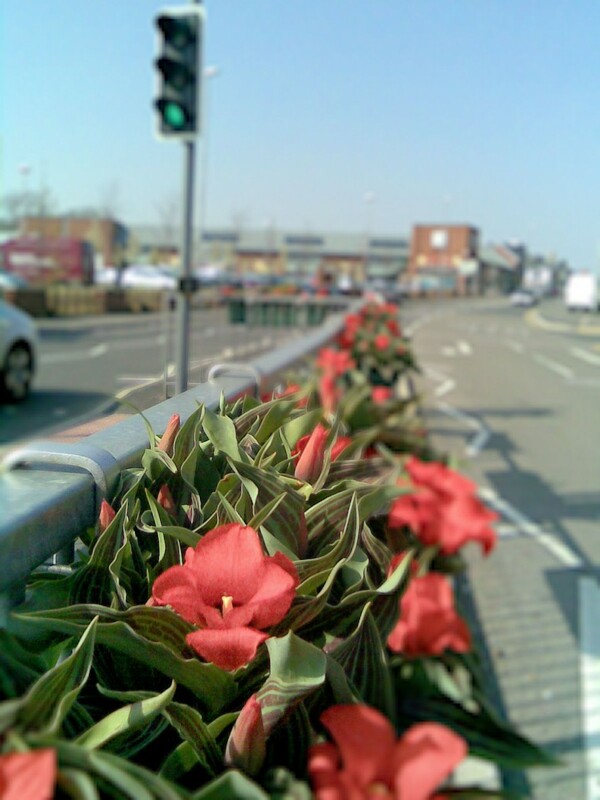 Many years ago it became the market town for the prosperous surrounding agricultural district and it continues to be so although there are now many local light industrial undertakings. Henry III granted the town a Market Charter in 1252 – 200 years before the discovery of America. Originally, the market was held in the High Street and in Market Square, only moving to its present location in 1868. Sheep and cattle were driven from miles around along the various ancient droves until the arrival of the railway station and motor lorries. Today, the weekly livestock markets, together with the monthly Farmers Market and Friday Stall Markets, continue to serve the town and the wider rural economy. Following a government-commissioned report compiled by television’s ‘Queen of Shops’ Mary Portas, Hailsham Town Council and the local Chamber of Commerce took the decision in September 2012 to form a Town Team (Hailsham Forward), which was set up to take a closer look at ways to revitalise the town’s High Street and surrounding urban environment, increase footfall and spend within the town. Hailsham Forward’s key actions for the next few years – working in partnership with East Sussex County, Wealden District and Hellingly Parish Councils – include a review of business rates and shop rents, improvements to shop frontages and signage, and the attraction and retention of a broader diversity of retail outlets (independent national/chain) to fill empty retail units in the town centre. A main event in the town’s calendar is its celebration of Guy Fawkes Night, held annually in October. An average attendance of 3,000+ people descend upon the town centre to witness the event, organised by the Hailsham Bonfire Society. Additional town festivities include specialist summer markets and fairs, as well as various Christmas events, which have been coordinated by Hailsham Town Council, Hailsham & District Chamber of Commerce, Hailsham Lions’ Club, Hailsham Rotary Club and St Wilfrid’s Hospice in recent years.